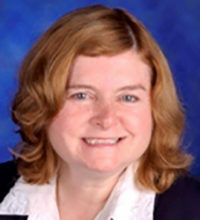 Dr. Jean Peduzzi-Nelson is an Associate Professor of the Department of Anatomy of Cell Biology at the Wayne State University School of Medicine. The focus of Dr. Peduzzi-Nelson’s work is adult stem cells and their potential in the treatment of brain and spinal cord injuries and radiotherapy-induced brain damage. As an expert on adult stem cells, she has testified at U.S. Senate Committees on three different occasions on how autologous stem cells could revolutionize medicine. Dr. Peduzzi-Nelson has written extensively on this issue with her articles appearing in many peer-reviewed publications including the Neuroscientist and Medline.